Fred Gorbet has extensive experience in public policy advice and formulation, particularly with regard to financial institutions and energy policy. Following a 25 year career in the Canadian public service, where he served as Associate Secretary to the Cabinet and as Deputy Minister of Finance for Canada, Mr. Gorbet has held several senior executive positions in the life insurance industry and in academe, serving for many years as the CIT Chair in Financial Services and Director of the Financial Services Program at the Schulich School of Business (York University). 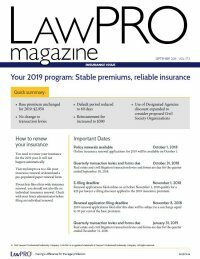 A member of the LAWPRO Board of Directors since 2004, Mr. Gorbet currently chairs the audit and conduct review committees and is a member of the governance and risk committees. 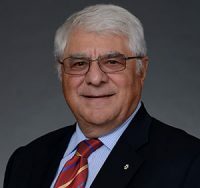 Since leaving government service, he has continued his involvement with public policy by serving as the Executive Director of the MacKay Task Force on the future of the financial services sector of Canada, the Executive Director of the Saucier Task Force on Corporate Governance, the Senior Policy Advisor to the Credit Union Central of Canada on the National Initiative, and the founding Chair of the Market Surveillance Panel for administered electricity markets in Ontario. His most recent assignment was as Chair of the Task Force on Auto Insurance Fraud in Ontario. Mr. Gorbet has also served as a corporate director of many firms in the private and public sectors. He currently chairs the Board of Trustees of the North American Reliability Corporation. Mr. Gorbet has a B.A. from York University and a Ph.D. in Economics from Duke University. He was appointed to the Order of Canada in 2000 and was promoted to Officer of the Order of Canada in 2014.